Dr. Khan specializes in the use of Smartlipo and has performed more than 3000 procedures in the past 9 years. Dr Khan is one of the first adopters of the Smartlipo technology and has trained 7 other medical doctors to perform the procedure. Dr. Khan, member of the American Academy of Cosmetic Physicians and National Society of Cosmetic Physicians initially trained at St. Vincent Mercy Medical Center and completed an internship and family practice residency in 2004. 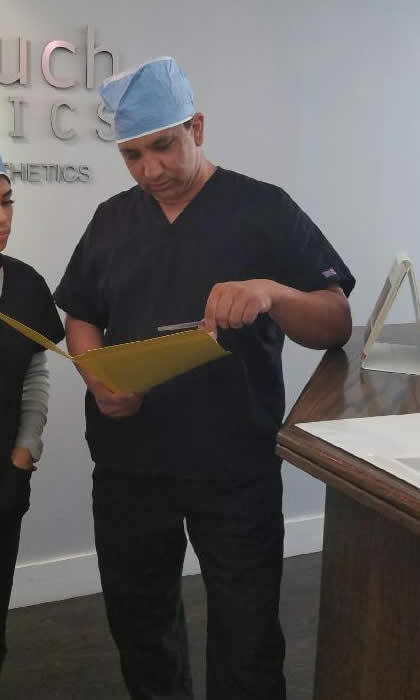 He has attended numerous cosmetic / Laser training seminars nationally, and uses the latest technology for procedures for laser and cosmetic medicine. Dr. Khan has performed 30000+ Lipo suction procedures, and has trained 7physicians in this technique and keeps continuing to train other Doctors. Dr. Khan has been performing cosmetic medicine since 2006 and is certified to perform Botox and Juvederm injections. Dr. Khan is a member of IAPAM (International Association for Physicians in Aesthetic Medicine). He is certified and trained to do Tumescent Liposuction specifically with Smart Lipo and is a member of the American Academy of Cosmetic Physicians. Note: All photos courtesy of Dr. Khan, unless otherwise noted. 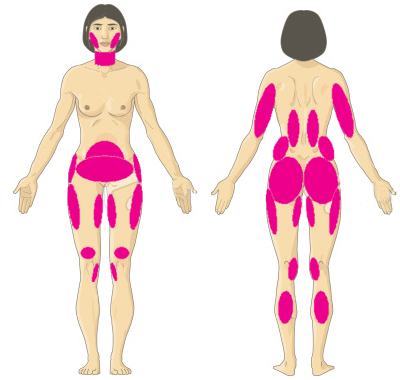 What are typical areeas of the body treated with Smartlipo? How long does the SmartLipo New York City procedure take? The SmartLipo procedure takes an average of 2–3 hours per session. How many SmartLipo Manhattantreatments are required? Can SmartLipo work on areas that regular liposuction can't? Since the SmartLipo procedure is performed under local anesthesia, there is very little pain or discomfort involved. You may feel a minor stinging sensation and an impression of SmartLipo treatment, but these discomforts are minimal.